Why are movie adaptations of books usually not great? Why Are Movie Adaptations of Books Usually Inferior? This question—“Why are movies considered inferior to books even though they involve more complexity when compared?”—originally appeared on Quora. Movies, as an entertainment product, are not more complex than books. Books are clearly more complex. When a scriptwriter sits down to adapt a novel into a screenplay for film, he starts by deciding which plots are to be kept and which are to be purged. He also decides on which characters to merge or cut in order to reduce the number of characters. A two-hour movie can’t support all of the subplots and characters that a 500-page book can. A reader might spend 10 hours reading that book. That’s a lot more time to convey information. Here’s an easy example: Go read any of the Harry Potter books and then watch the films. You’ll find that many of your favorite scenes and characters from the books won’t be in the films. A film just can’t handle the level of complexity a book can. An example from the opposite side of the spectrum that still proves the point: Go read The Hobbit. It is about 300 pages. It will take you several hours to read. 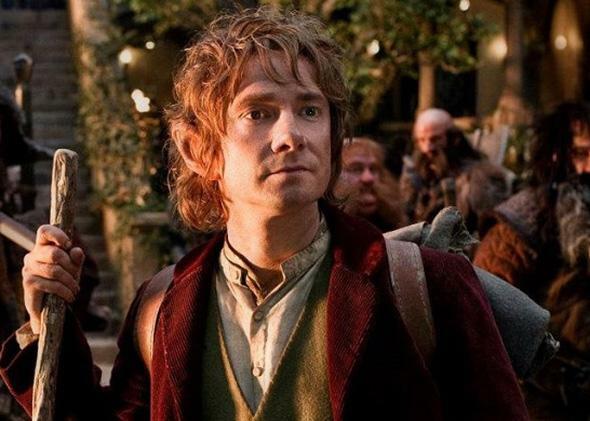 In an effort to tell the same story, Peter Jackson is making three films totaling about nine hours of film. He easily could have made a two-hour film of The Hobbit, but he would have had to remove subplots and characters to reduce the complexity. Development is obviously a totally different matter. A novel is written by a sole person, in his home, with a notepad, typewriter, or computer, and may involve conducting research. A film involves hundreds of people with specialized skills and thousands of decisions that the book author never had to think about. Making a film is a massively complex project. My experience has been that when people make comments about the movie being lesser than the book, they are specifically talking about two things: the excised plots and characters, and the reduced role movie-watchers play in the experience. A book asks more of the reader. The reader has to think about what she is reading. She has to interpret what she is reading. She has to use her imagination to visualize what she is reading. A particularly thoughtful and imaginative person will add layers of complexity to what she reads. When she then watches the film and the filmmakers didn’t add those same layers, she is going to see it as a lesser product. So, in most cases, the film is lesser than the book—for the person experiencing it. But that is not always the case. A common example that I agree with is Jaws. Spielberg and John Williams managed to enhance Peter Benchley’s descriptions by adding tremendous tension. Entertainment: Which TV show do you hate that everyone else inexplicably loves? Movies: How could Godzilla have been made better? Books: What are the most overrated novels?